Join Us At 8:30 AM For Our Traditional Holy Communion Service! Join Us At 10:00 AM For Our Contemporary Family Service with Kids program! Join us for a relaxed, family friendly worship service, with contemporary music, followed by a friendly chat! 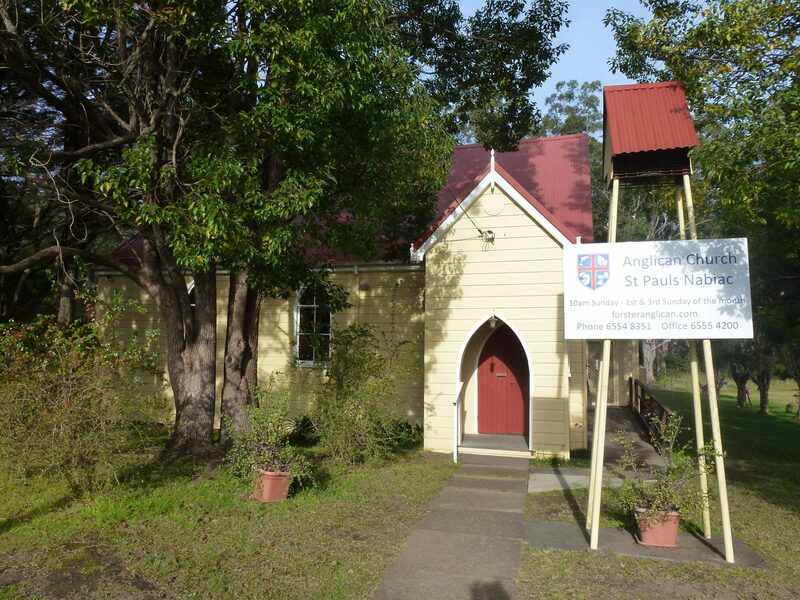 Or join us for a traditional worship services, with classic hymns and a formal liturgy, followed by a lovely morning tea and chat! Join us every 5th Sunday for our whole church community worship - and celebrate our unity in diversity! and de-consecrated St Nicholas Church at the end of the service. Welcome to Rev James and Sophie with their family. 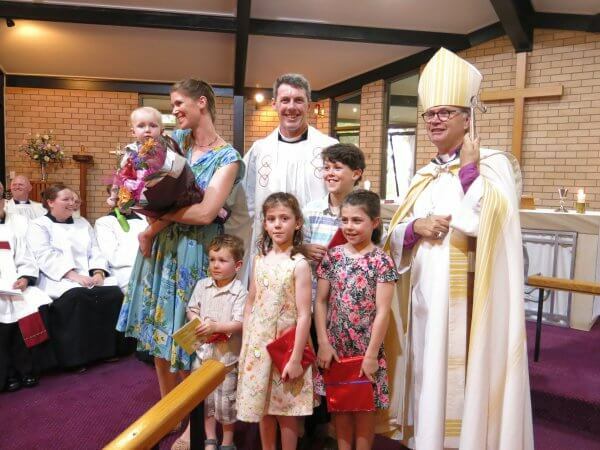 Toby 1, Elijah 3, Kara 5, Janella 7 & Daniel 9, with Bishop Peter Stuart. Bishop Charlie, Bishop Peter & Bishop Sonia. 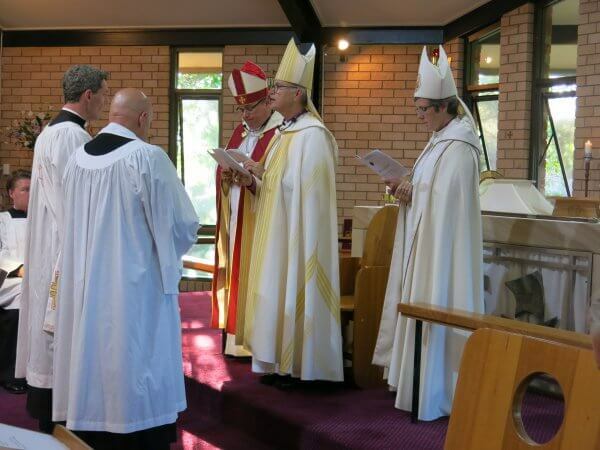 Reverend James Brooks was ordained into the priesthood of the Anglican Church on Thursday 24th January at St Alban's Anglican Church, Forster. 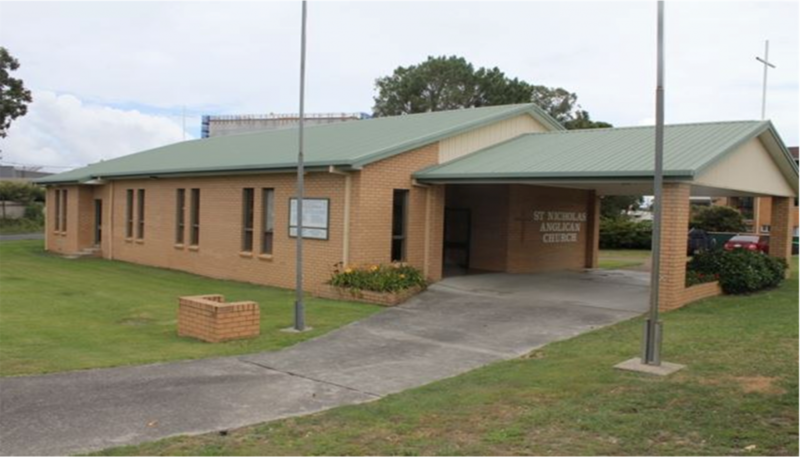 The ceremony was presided over by Bishop Peter Stuart from the Diocese of Newcastle and attended by the two assistant Bishops-Charlie Murry and Sonia Roulston, as well as a host of clergy from around the diocese. A large number of parishioners were present to witness the ordination and to welcome Reverend James and his family to the Parish. 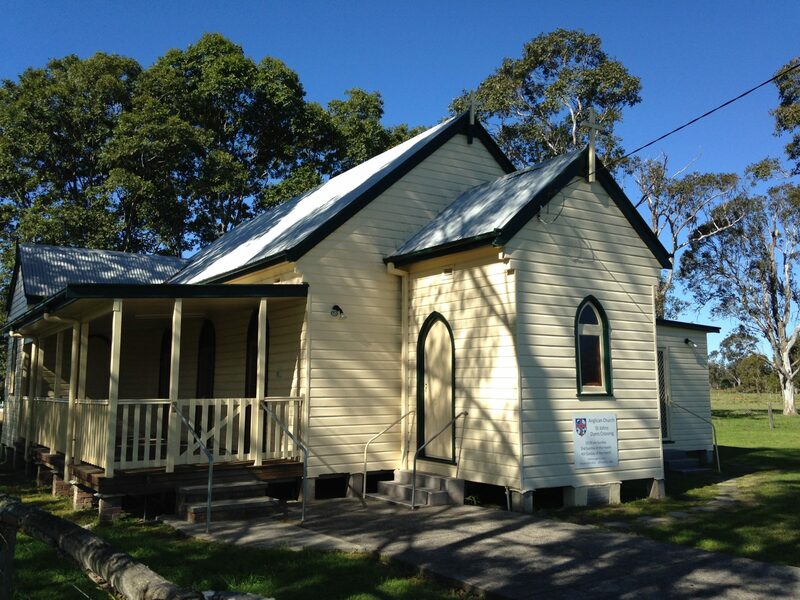 Reverend James will take up the role of families' minister-thus expanding the Anglican Ministry team in this area. He will be teaching scripture in the local schools and loves to spend time telling people about Jesus. 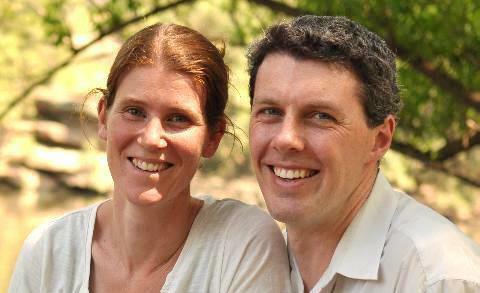 Reverend James and his wife Sophie, together with their five children will live in Tuncurry.